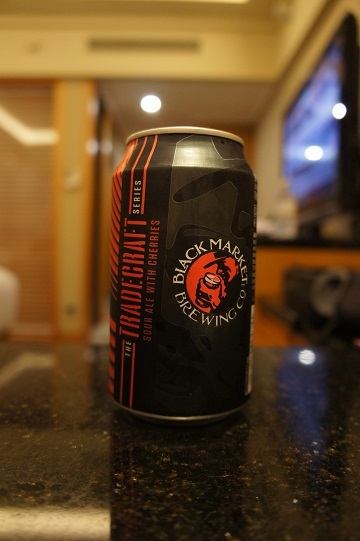 Category Archives: Black Market Brewing Co.
Brewery: Black Market Brewing Co.
Other Notes: 6.2 IBUs. Malt – Wheat and Pilsner. Hops – Czech Saaz. Brewer Description: (from website) Based off of our wildly popular “1945” Berliner Weisse, this cherry flavored sour was created for both the crossover drinker and those who find few sessionable style sours can options. Our goal in creating this 6-pack can line was to give the craft beer drinker an alternative to the typical craft beer styles found in cans. Intro: A 12 fl oz can with no visible best before date on the can. It was poured into short stemmed wine glass. Appearance: It poured a hazy reddish pink colour with a one finger surprisingly white head that dissipated fairly quickly with almost no lacing. Aroma: Tart cherries and cherry juice. 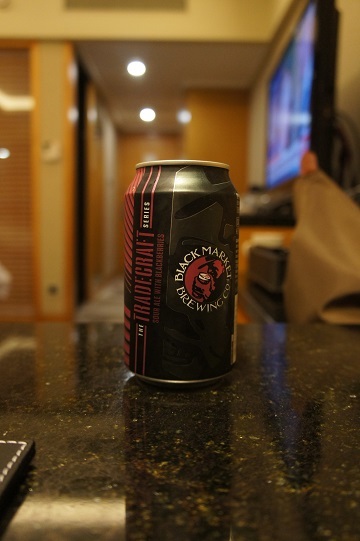 There is also that buttery aroma that I got in the Blackberry Sour, but it is much less, which is a good thing. 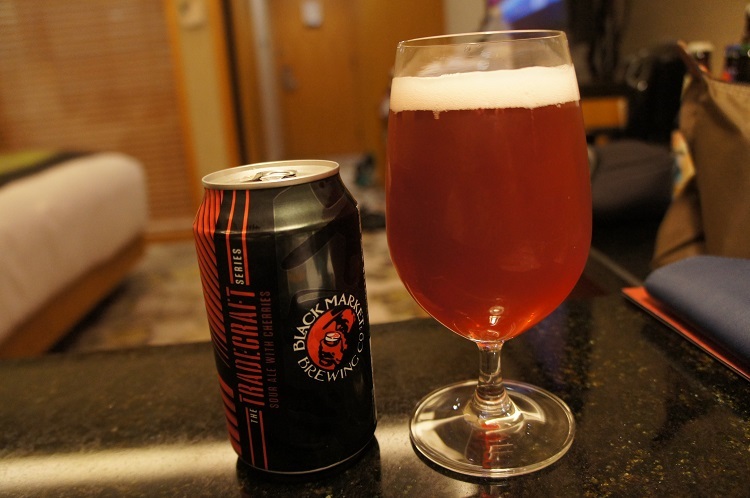 Taste: Much like the aroma, it is of tart sour cherry and cherry juice. Mouthfeel: Medium bodied with light carbonation. Overall: This was definitely better than the Blackberry Sour in my opinion. Although my dislike of the buttery like aroma was still kind of there, it was not nearly as overpowering. 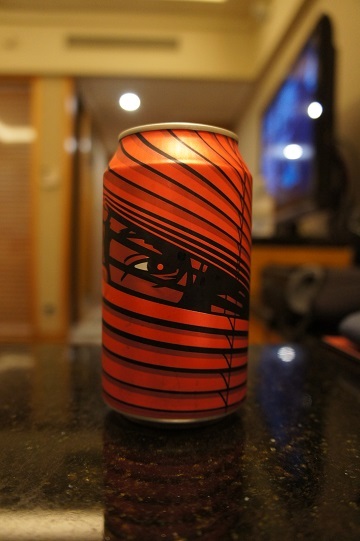 The sour cherry taste was also more my thing although it is still overly juicy (juice like). Brewer Description: (from website) Based off of our wildly popular “1945” Berliner Weisse, this blackberry flavored sour was created for both the crossover drinker and those who find few sessionable style sours can options. Our goal in creating this 6-pack can line was to give the craft beer drinker an alternative to the typical craft beer styles found in cans. Appearance: It poured a cloudy purplish-red colour with a two finger pinkish head that dissipated fairly quickly with almost no lacing. Aroma: Dark berries and cherries with an unfortunate strong whiff of heated butter before finishing with a light breadiness. 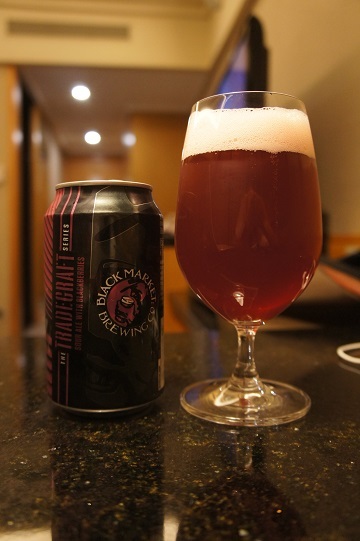 Taste: Tart sour blackberries and cherries which is rather juice like with a bready finish which does not last at all. Flavour is too one dimensional for my liking. Overall: The buttery smell was really not my thing and you get it with every sip. On top of that, the taste really just suddenly stops as soon as you swallow and is a bit too juice like.